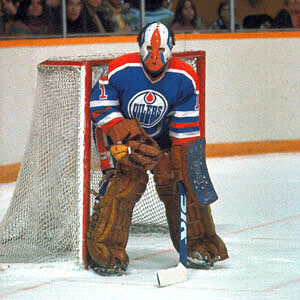 Grant Fuhr of the Edmonton Oilers. Bob Shaver was the former photographer for the NHL's Buffalo Sabres from the time of their inception into the early 1990's. He also shot the AHL's Buffalo Bisons. Bob Shaver used to help out the Hockey Hall of Fame in the 1970's and 1980's as many of his images were used in displays when the museum was located on Toronto's CNE fairgrounds.